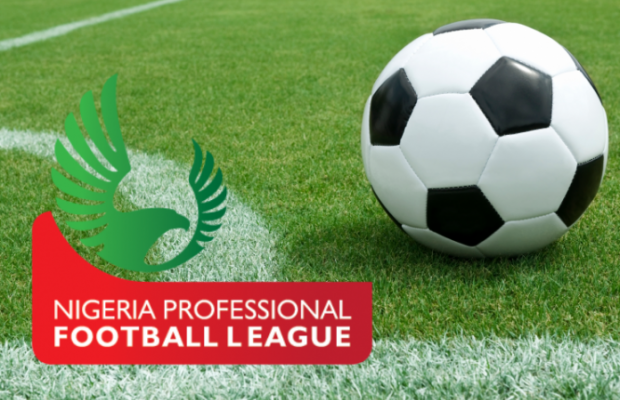 Every year the Nigeria Professional Football League (NPFL) season starts with an anticipation of having an improved and better season than the previous one but with the recent issues affecting the whole league, abrupt ending of the league, delayed resumption, crowd violence and poor officiating, it looks like all stakeholders across all boards have a hand in the “one step forward two steps backward” development spiral that the league experiences each time and as such finding a lasting solution may require the involvement of all. The struggles and political saga of Nigerian football in the year 2018 and its adverse effect on the local league have been very well documented. Across the duration that the power tussle between Chris Giwa and Amaju Pinnick lasted and into the period of frequent cancellation and postponement of the Super 8 to decide the newly promoted teams into the NPFL 2018/2019 season, a lot of issues affecting the development of league football underground that was before now given little cognizance were brought to the fore. Apart from the League Management Company (LMC) having it’s fair share of blames for lack of sponsors and indecision in the face of cogent issues which arise from the League week in week out, clubs for their unprofessional way of doing things in a league dubbed “professional”, poor brand management, selfish interest and fans having unwavering flair of sabotage and violence during match games at different match venues contribute to the already numerous canker-worms that eat into the NPFL body. While applauds must be given to LMC chairman Sheu Dikko and his committee in the way they have steered the ship of the league since their take over years ago, it must be said that despite the initial progress in the early years when the NFF issued the license to organize and regulate the top tier league to them in 2012 for the purpose of organizing and promoting the league to meet global technical and commercial standards, the league has regressed badly in recent years. From losing the broadcast partnership with Supersport in early 2017 and failing to secure another broadcasting deal to later awarding the rights to Nigeria Television Authority (NTA) in September of the same year, the LMC has continually proceeded to make decisions that plunge the league into deeper problems. Not only did the NTA deal reveal the reality of the impact and importance of Supersport in beaming the league to the world but it also saw the league move slowly into broadcasting darkness and void with poor picture quality and abysmal broadcast last season to totally being off air all together in the new season. Another poor decision by the LMC was to allow the league go on break during the 2018 FIFA World Cup when the league had only one player at the world cup in Ikechukwu Ezenwa whose absence would not have made any difference in the league for his team. Moreover, the league could have continued with the world cup on and reached the concluding stages before Giwa/Pinnick brouhaha came to the fore and held all footballing activity to a standstill. The impact of selfish interest and poor management of Nigerian club sides were clear and evident when a meeting was called against the backdrop of the adverse circumstances in the administration of football in the country, which resulted in the indefinite suspension of the resumption of the (NPFL) leading to huge fixture congestion for both league and cup competitions. Decisions were made and Lobi Stars were declared the country’s representative in next season’s CAF Champions League, no teams to be relegated and four to be promoted from the NNL and despite the various available alternatives, the decision was made to favour all participants for selfish reason of avoiding relegation and at the detriment of the league. Promotion playoffs from the Nigeria National League was delayed as NNL clubs held the NPFL and the whole country to ransom in a bid to see all 8 teams in the top two places of all four groups of the NNL promote without playoffs, using the adverse situation experienced in the administration of football in the country to push for their agenda. If successful, the NNL would have rendered the 2018/2019 NPFL congested with 28 teams although LMC in their own have to share the blame for diverting from the initial playoff plans to promise all 8 teams NPFL promotion without playoffs during a period of indecision and lack of direction by the league body. However, by the time Nigerian Football Federation stepped into the issue and agreements made to finally play the promotion playoffs, the league kick-off had already been delayed beyond schedule with the LMC reluctant to punish erring clubs, later handing them to a committee to impose disciplinary actions on the 5 clubs who were threatening to pull out, a decision that nothing has been heard or have been done by the said committee since then. Furthermore, Nigerian club sides are still incompetent in fully utilizing the potentials of social media and proper branding of their teams and players. While a few having been impressive with branding and social media presence like Enyimba, Rivers United, Akwa United, Remo stars just to mention a few, other NPFL clubs have social media handles that are not well utilised in reaching out to fans, yet there are complaints of fans not attending games, contract details are still shady, mass release and recruitment of players are still very much around. The laughable condition of club medical process uploaded by Katsina United, an image of an unidentified player laying face-up on an unhealthy foam evoked mixed feeling from football fans and analysts — a strong blend of wonder and profound dissatisfaction. The player had the sensory devices snared to his chest but warily wasn’t furnished with a bed with sheets. A big disgrace when compared to what is found in Europe and some other African leagues. Logistics of players, welfare and payment of salaries need to be well documented and better prepared, Lobi stars despite been considered Nigerian champions in the 2017/2018 season and representatives in the CAF Champions league had a ludicrous logistics arrangements ahead of their away game to ASEC Mimosas with official Club Jerseys left behind while the team travelled to Ivory Coast. All in all, it will take a lot of work from the LMC and clubs to bring a bulk of fans who are glued to English Premier League and other European football league craze back to the stadia where provision of security is poorly handled in some match centres or totally unavailable as seen in Plateau United on Matchday 1 of the new season where the pitch encroached and the referee beaten. Painfully enough the LMC acts like a toothless Lion which roars but never pounce, while banishing Plateau United can be commended coupled with the fines, it may be worthy of note that the league body will not follow up to ensure the team pays the fines as the banishment to Ilorin for the next few home games will be the punishment served by the team. Unfortunately, the clubs involved would do little to ensure the culprit is brought to book, neither will they put up measures to avoid a repeat of such scenarios, that is why Remo stars should be commended for actively condemning the violence against the referee in their 1-1 draw against Insurance on Sunday with several social media messages and ensuring they provided the culprit to the security agencies on ground. LMC up until the time of filling this write up is yet to comment on the issue. Publicity of the games by the clubs is sometimes none existent if the job done by the Nigerian media is subtracted. Poor officiating from referees is still raising it’s ugly head despite the 5 years ban of match officials if found guilty agreed upon by the LMC and NPFL clubs before the season starts. However, the LMC needs to find a lasting solution to tackling crowd violence beyond fines and banishments of teams also they need to be proactive and ensure that punishments are served latest 24hrs to teams whose fans and officials go against the rules of the league. The Nigerian Referee Association also need to contribute its quota in reducing poor officiating from its officials, although it must be said that poor officiating under no circumstances justifies crowd violence against any match officials. If the above is solved, then violence in stadiums can be treated with sensitization of fans, a new TV deal needs to be agreed upon as soon as possible as this will enlighten and bring the league closer to the locals and as the LMC continue to work out on ways to move the league forward. The NPFL will definitely move forward albeit slowly, as it is popularly said all hands must be on deck and with the issues facing the Nigeria Professional Football League, LMC’s hands alone are not enough.